In early March we conducted a 10 day trip to Seoul, to attend the OLED Korea 2019 conference (and a visit to some local display companies). One thing that we noticed during our trip is the adoption of E Ink shelf labels in stores. We have seen E Ink ESL displays in Samsung retail stores (used to detail the new Galaxy S10 flexible OLED smartphone family), and in supermarkets across town. The ESL displays were used to display price and information (unfortunatly always in Korean) - and were nicely placed. 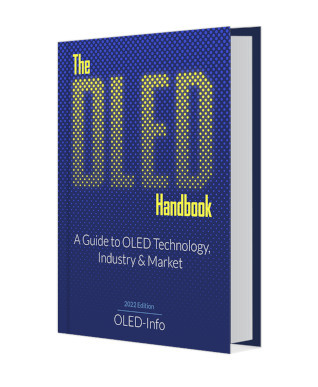 We are happy to announce the eighth edition of The OLED Handbook, the most comprehensive resource on OLED technology, industry and market - now updated for 2019. The OLED industry grows and changes very fast, and the new edition include new details on the OLED mobile display market, new production fabs in China, OLED TVs, flexible OLEDs and more. 2018 is soon over - and it's nice to reflect back to the year we had experienced. The focus of the e-paper industry continues to shift from e-readers to signage and retail applications, even though the e-reader continues to be a successful and stable market. US-based e-skin Displays demonstrated early prototypes of its plasmonic reflective displays at SID Display 2018. The displays combine a reflective plasmonic surface with liquid crystals. 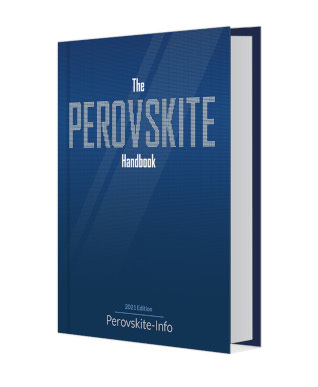 The wavelength of the absorption depends on the liquid crystal orientation near the interface. The company, who's collaborating with Merck in this project, says that its reflective displays will offer the best color gamut in the industry and the best contrast. The flexible displays can be produced using existing LCD production infrastructure and the company hopes to show a full color display prototype in early 2019, and large 6-inch by 9 inch full-color display samples by the end of 2019. Japan Display (JDI) demonstrated its latest high-resolution (198 PPI) 30cm-wide e-paper displays for the electronic shelf-label market. JDI is also developing much higher density e-paper displays (400 PPI and 600 PPI), these were detailed at E Ink's booth at SID but JDI did not demonstrate any of these next-gen e-papers at its own booth. Color e-paper developer CLEARink demonstrated its latest wearable color e-paper displays at SID 2018. The most interesting display was a 1.32" 202 PPI color e-paper display that offer a color gamut of 30% NTSC (1931 CIE) which is not up to par with regular emissive displays but looks quite good for a reflective display. CLEARink's displays are electrophoretic displays that achieve color using color filters on top of the display. The panels offer a fast refresh rate which supports video. Here's a short video showing E Ink's booth at SID Displayweek 2018, where the company demonstrated its latest E Ink displays, devices and prototypes. Some of these displays looked very good, especially the new color panels! E Ink had some very interesting displays in there - including the new medical patch developed with LTS, the high resolution (400 PPI and 600 PPI) E Ink developed together with JDI, a range of new writing pads (from Sony, ReMarkable and Onyx Boox), the GVIDO music stand display, plastic logic's OTFT-powered panels and E Ink's upcoming beautiful color e-paper displays.